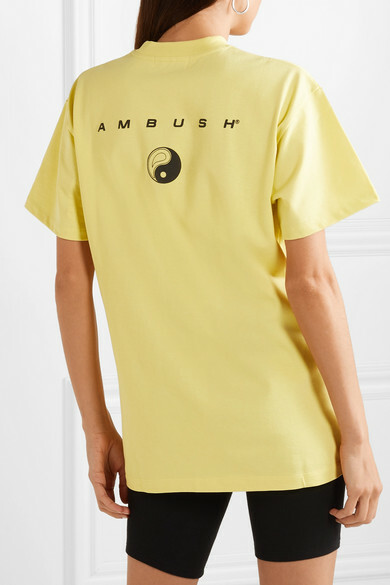 AMBUSH®'s Spring '19 collection is inspired by the serene atmosphere and stunning sunsets of Hawaii. 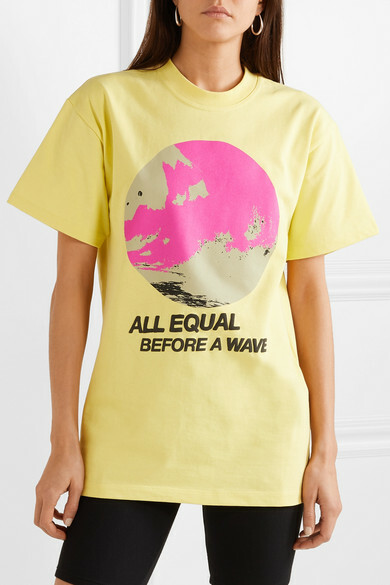 Made from soft cotton-jersey, this T-shirt is printed with the slogan 'All Equal Before a Wave' at the front and the label's name along with a yin-yang motif at back. 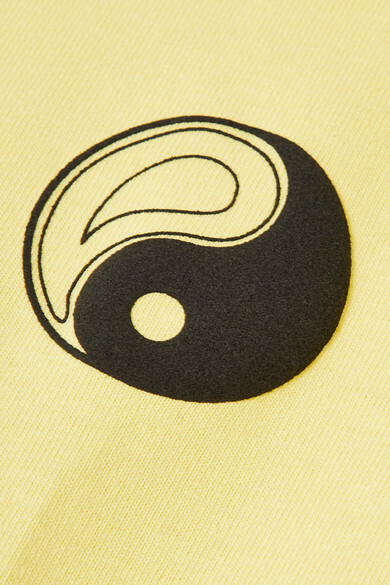 Wear it with cycling shorts or jeans. Shown here with: ATM Anthony Thomas Melillo Shorts, Golden Goose Deluxe Brand Sneakers, Reebok X Victoria Beckham Belt bag, Sophie Buhai Earrings.